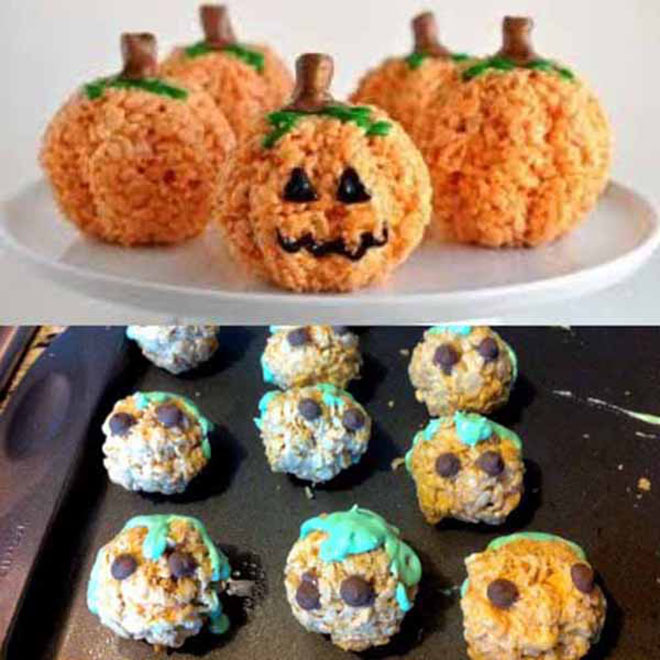 Pinterest makes everything look so easy, but not every recipe goes according to plan! Baking can be a super fun and a great relaxing hobby, but it takes time to master this skill, and along the way, you might end up failing epically. 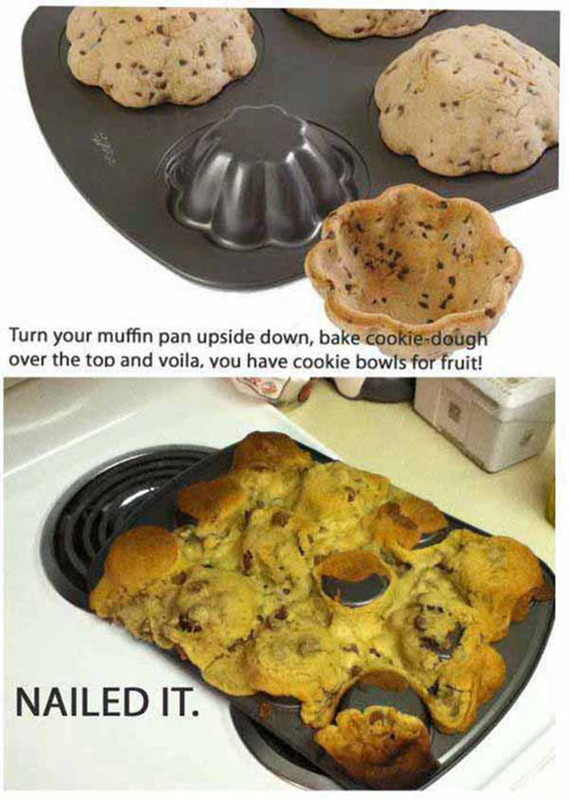 Until then, you’re bound to have a few disasters in the kitchen, and hopefully they’re just as funny as these ones! 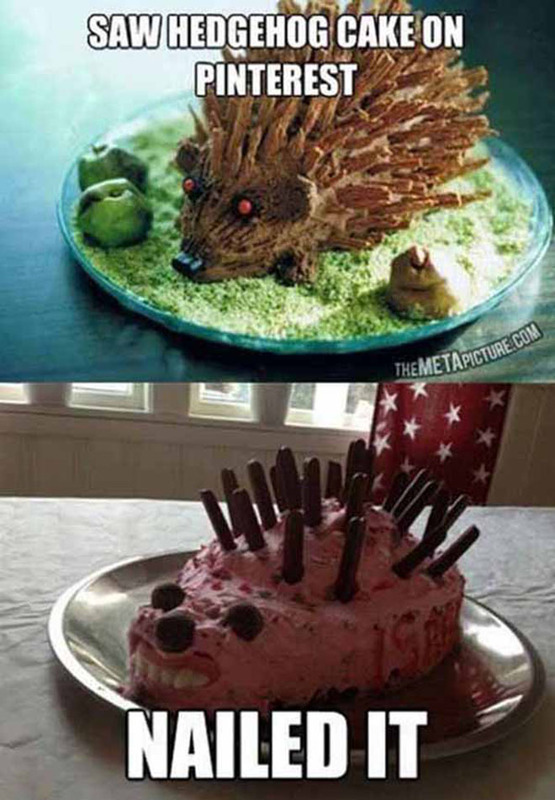 This hedgehog cake looks absolutely adorable, but it might be a bit too difficult for your average beginner. This baker didn’t do badly, but the candy teeth took it from “aww!” to “argh!” real quick. 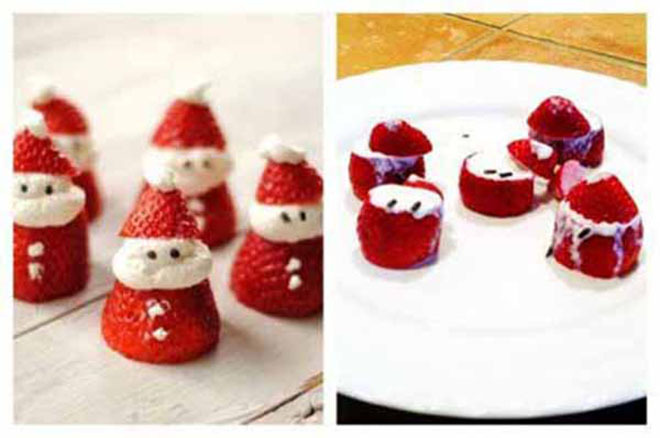 These adorable strawberry Santas might look super easy, but it turns out they’re anything but. These ones must be part-Snowman, as they’ve melted away just like Frosty sunbathing in California! Flipping a normal pancake is hard enough, so adding patterns is a recipe for disaster! These bears might look sweet, but just a second too long and they get a little too ferocious! These Halloween pumpkins do look a bit scary, but for all the wrong reasons. They might not be the prettiest, but they do look perfect for a witch’s cauldron! 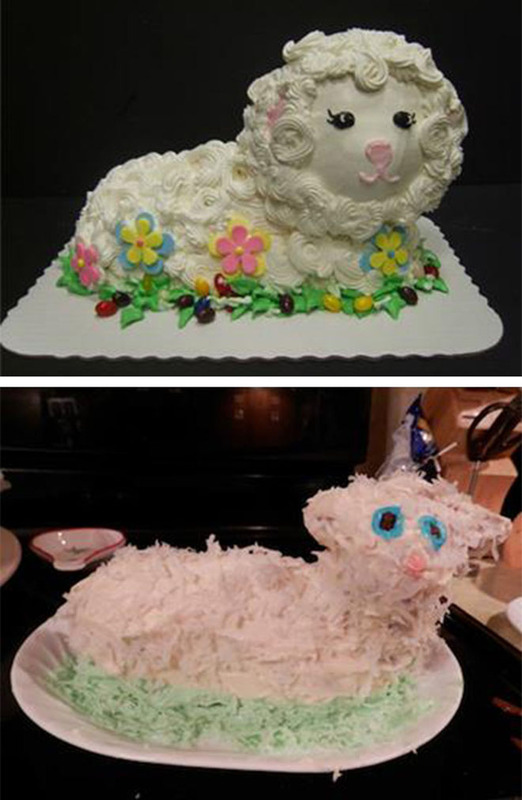 Animal cakes are probably best left to the professionals, and this Easter cake proves it. Not only does this lamb look more like a cat, but it’s a very sad looking cat at that. 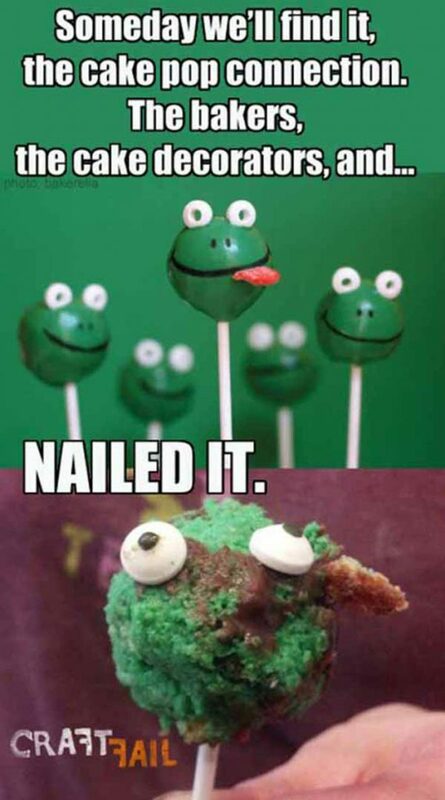 Cake pops are a family favorite, because they’re really difficult to get wrong. 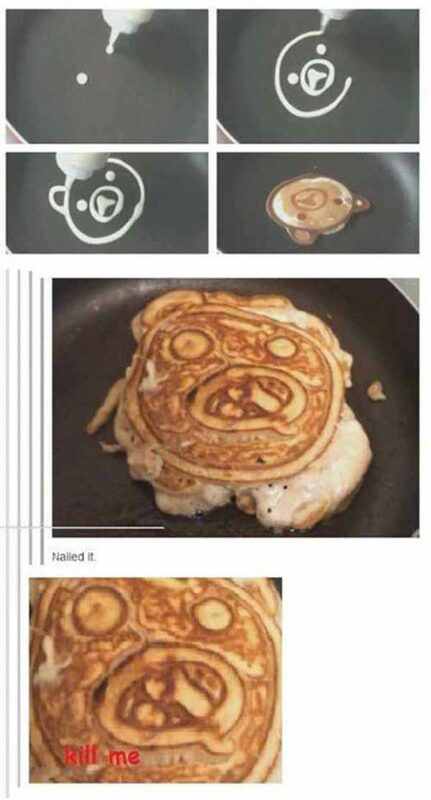 However, this family might have misread the recipe, because they ended up with less Kermits and more terrifying Mutant Ninja Turtles! 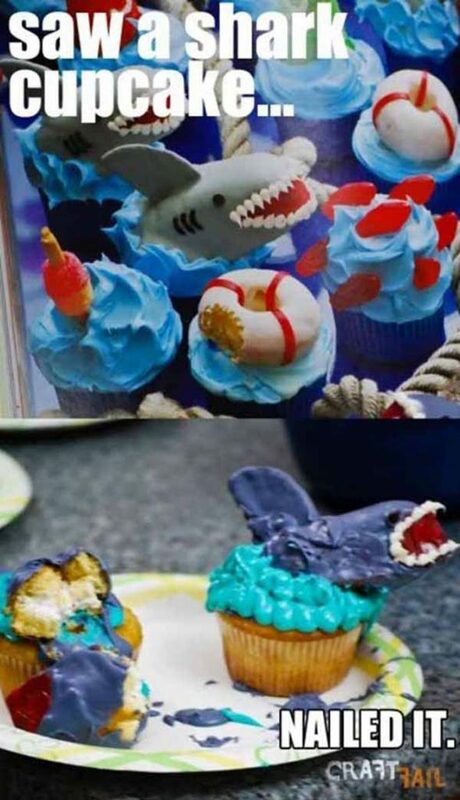 These shark cupcakes are super cute, but this attempt at DIY ended up almost as scary as the real thing! They won’t be going in anyone’s “jaws” soon (get it?) but they’ll definitely end up at the bottom of a watery grave! 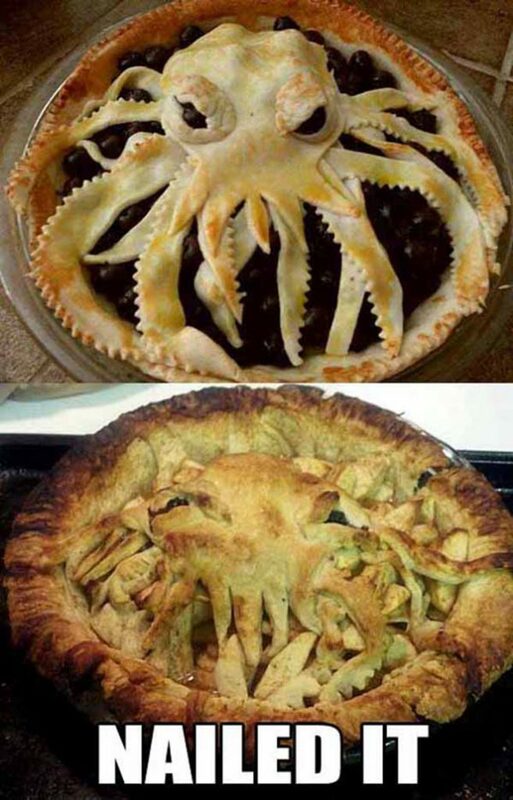 Pies are difficult to get right, so this giant octopus design was always going to go a little bit wrong. With that said, this Kraken will definitely end up being a legend even if it’s for all the wrong reasons! Turning your baking tray upside down is supposed to be a super simple hack, but the easiest tricks are often the ones that go wrong. If your mixture spreads even a little, you end up with a molten mess of cookie dough… not a good look! 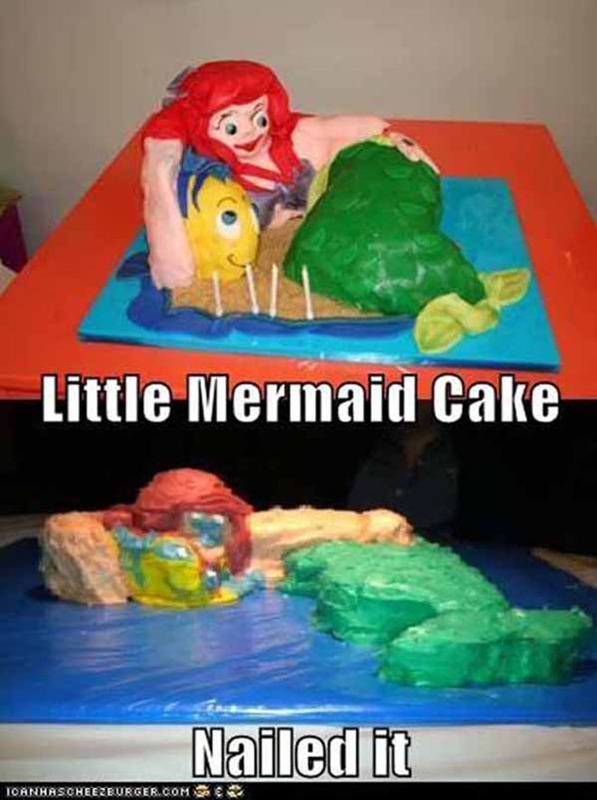 If animal cakes are hard, cakes of humans (or mermaids!) are probably harder than learning Mandarin! I mean, this Ariel cake doesn’t exactly look ready for the ball, but she could definitely use a fairy godmother! This Creeper face is completely made of squares, so all you have to do is copy the pattern, right? Ugh, so easy! However, it turns out the recipe is harder than the video game it’s based on, as this family just couldn’t really pull it off. 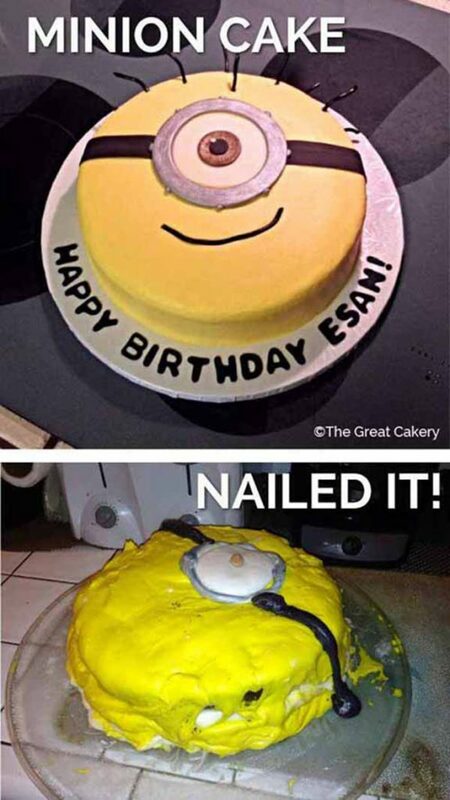 Hey, at least it’s edible! Somewhere Over The Rainbow… Or Not. 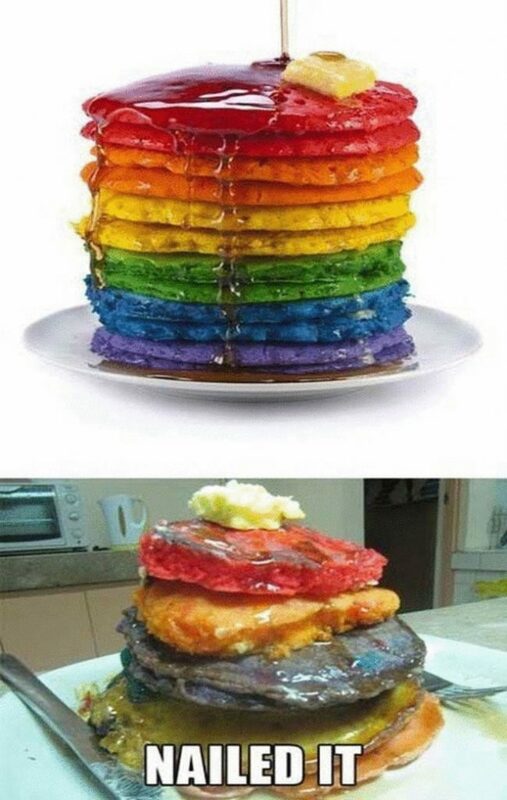 These rainbow pancakes look too good to be true, and it turns out for most people they are. Not only are these colors not as cute as the original, but they’re different sizes, and so misshapen we want to cry rainbow tears! 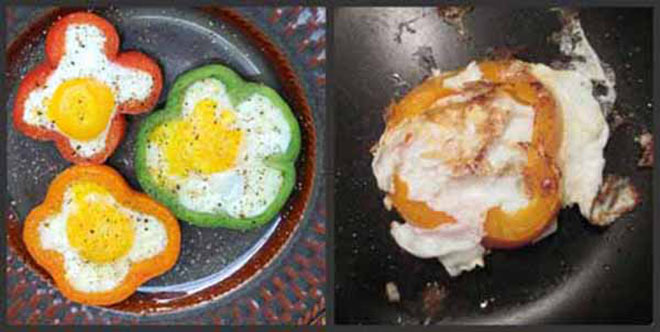 The whole point of using peppers in your fried eggs is to keep them neat, but it’s not a fool proof method! Taking your eye off for one second is long enough for the egg to burst its banks, though It’s probably still delicious! Minions are the happiest creatures in the world, but they can get scary really quickly. This one looks like it was left in the sun for a little too long, and it definitely isn’t too happy about it! Next article These Selfie Fails Are So Bad, That They Ended Up Being Hilarious!